High level talks held in Egypt with visiting Russian FM and Defense Minister, no arms deal yet but promises of new strategic relations. Signs of a potential major alliance shift were seen Thursday as high level talks with the visiting Russian Foreign Minister Sergei Lavrov and Defense Minister Sergei Shoigu occurred in Egypt. The talks ended without any announced arms deals, but with promises of new strategic relations. General Abdel Fattah al-Sisi, Egypt's army chief and defense minister, said the visit signified "historic strategic relations via starting a new era of constructive, fruitful co-operation on the military level," reports Al Jazeera. One Egyptian analyst, Yasser El-Shimy of the International Crisis Group, said the move was "meant to send a message to say Egypt has options, and that if the United States wishes to maintain its strategic alliance with Egypt, it will have to drop the conditions it attaches to the military aid." The US froze $250 million in military aid to Egypt recently following the instability and crackdown on opposition since former President Mohammed Morsi was deposed in July. 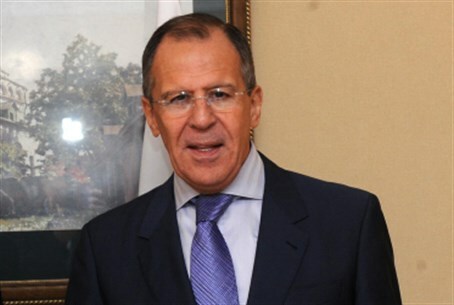 Meanwhile Lavrov said during the visit "we respect Egypt's sovereignty and the rights of Egyptian people to determine their future," according to BBC. Some analysts posit that the visit doesn't necessarily signify a Russian replacement of the US military alliance. Mohamed Gomaa, a political analyst at al-Ahram Center for Political and Strategic Studies, told Al Arabiya that "Egypt’s foreign affairs are being restructured, but relations with Russia shouldn’t be seen as a substitute for ties with the United States," adding “the current Egyptian decision-makers have no intention to drift away from the U.S. at this period." In 1979, when Egypt signed a peace treaty with Israel, the US began gifting an annual $1.3 billion in defense and economic aid, and the Nile state shifted from Russia towards America. Currently as rapprochement appears imminent between Egypt and Russia, Gomaa noted that while Russia can be an additional source of military equipment, unlike the US Russia intends to sell weapons, and not give them away for free.